← Happy stripey dancey fun. I’m getting so I have a lot of sundresses. This is mostly OK, since I wear them quite a lot when the weather cooperates (although a lot of them are white, which is less good). But one can never have too many of a Useful Wardrobe Item, especially something distinctive like a sundress. 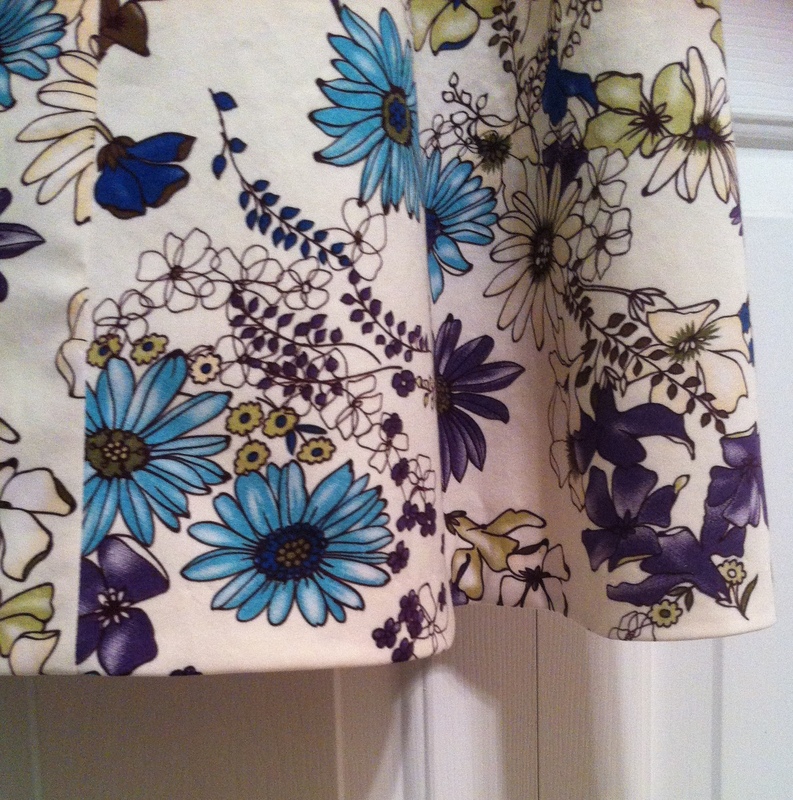 I bought this fabric more than a year ago, because I fell totally in love with the stylized floral print. Totally, completely in love. It’s a fabric I have sat and patted many a time in the months since, a stretch cotton sateen, which has to be one of my favourite fabrics of all time, by the way. I knew I wanted it to be a flared-skirt sundress; I bought three metres, figuring that would be enough for most anything I could decide to make with it. 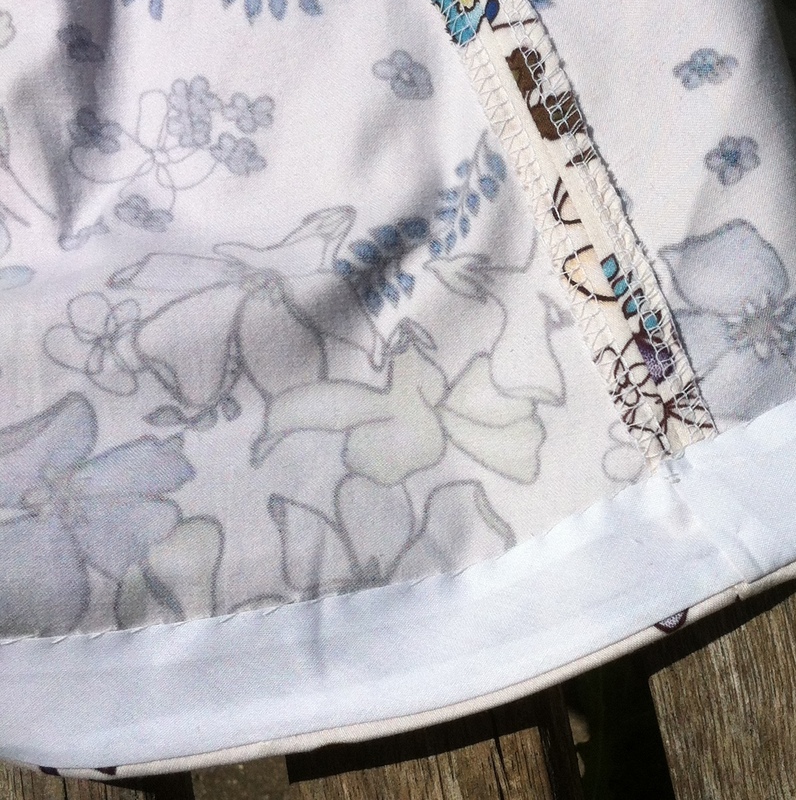 Then a few weeks later, I found the last metre folded up in the remnant bin. A week or more after that, it was still there. It came home with me. 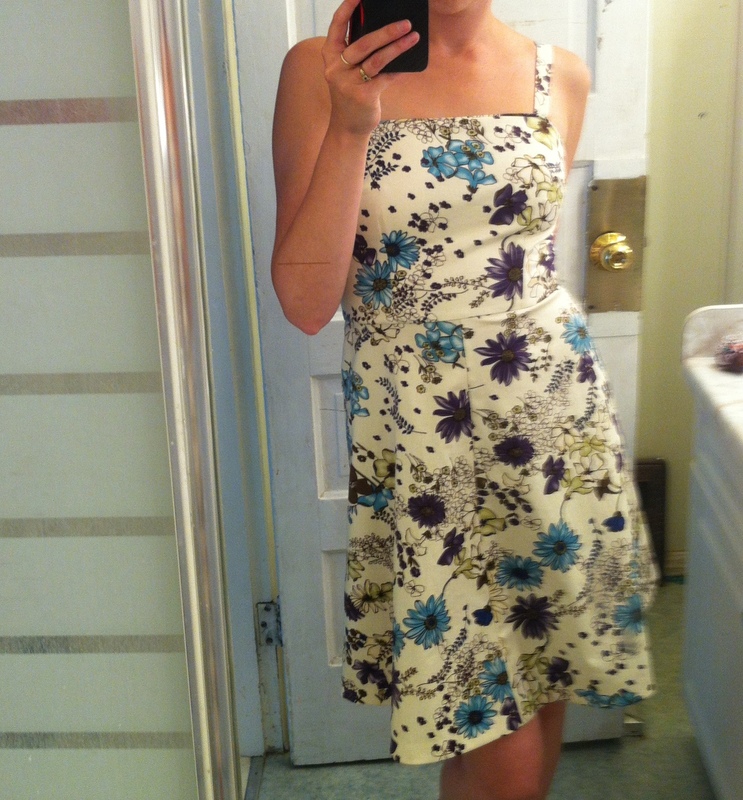 Butterick XXXX was a real possibility, except after I made the Picnic Dress I didn’t really think my wardrobe needed two. Vogue 2429, in the simple flared skirt version, became the new plan. And then it sat. And sat. Back on Canada Day (July 1st), I checked my schedule and realized that, between my two jobs, I had no days off before July 20th. Faced with the grim reality, I managed to wrangle a personal day (so, one day off!) and committed to self-care in the meantime. Which, for me, means mostly sewing. So I was determined to make something satisfying, simple, and self-indulgent. This sundress fit the bill. I usually make a size twelve, but knowing that my fabric was a stretch, and wanting the option to wear it sans-bra, I made the size ten at the bust, grading up to twelve at the waist. I shortened the bodice a wee bit (though the darts are a bit high so perhaps I could have shortened more), and did my usual sway-back adjustment. I keep resolving to skip this on a full-skirt pattern and see what I can get away with, but the skirt for this one, which looks flared on the envelope, is really not much more than a gentle A-line. .
It’s actually the only thing I wasn’t super-thrilled with about the dress—I didn’t want a full circle skirt, but a half-circle at least might have been nice. Anyway, I didn’t fuss around with pattern-matching or any of that, so I got this wee little dress out of 1.5m of fabric—meaning I have enough left to try again if I should feel the need. It actually looks really good from the side, but I feel like the skirt looks a bit narrow and flat from straight on. The only fun detail I added was a touch of self-piping just along the top of the bodice; since it’s a straight seam I didn’t even bother cutting a strip on the bias, just on the stretchy cross-grain. The bodice is lined with white stretch poplin (left over from the flower jeans), and I used some wide flat-fold bias-tape for a narrow faced hem since I may have cut the skirt a bit on the short side, and I like facing curved hems. The skirt isn’t lined, but I often wear it with my half-slip as it seems to sit over the hips just a bit better with something slippery underneath. I love how invisible the hem is. I have hem-envy right now. Seriously. And maybe just a little bit of fabric envy too – so pretty! It’s a pity the skirt isn’t fuller than you’d hoped for though… could you investigate adding some godets to give it some swish? I have a wedding to go to, can I steal one of your sundresses? 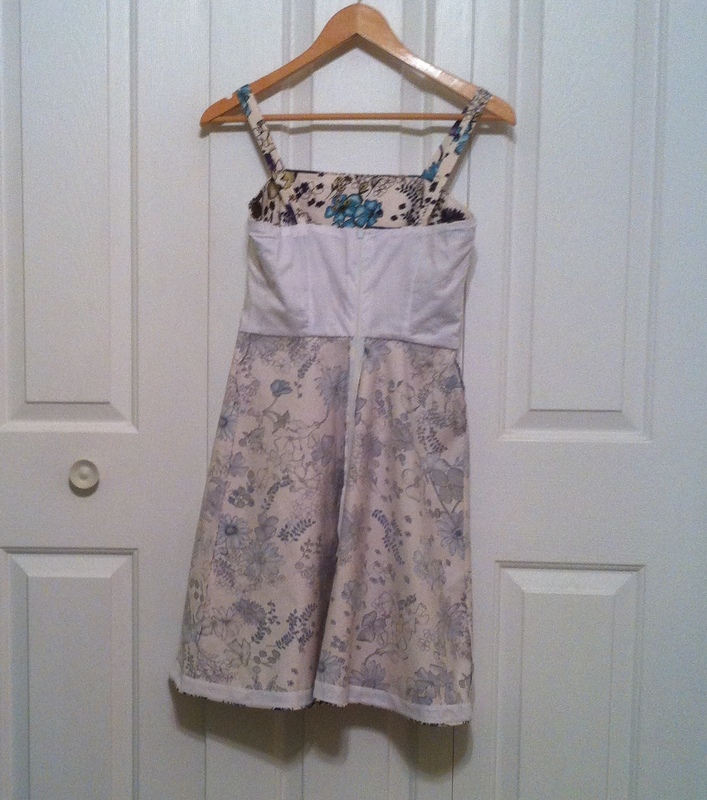 lol This one is great, I love the piping and the hem! It’s a very nice dress but I agree that it might have been even better with a slightly fuller skirt. I hope you’ll get the chance to wear it a few times before the end of summer. Love the sun dress, it is so adorable and I love the colors. I really love this. 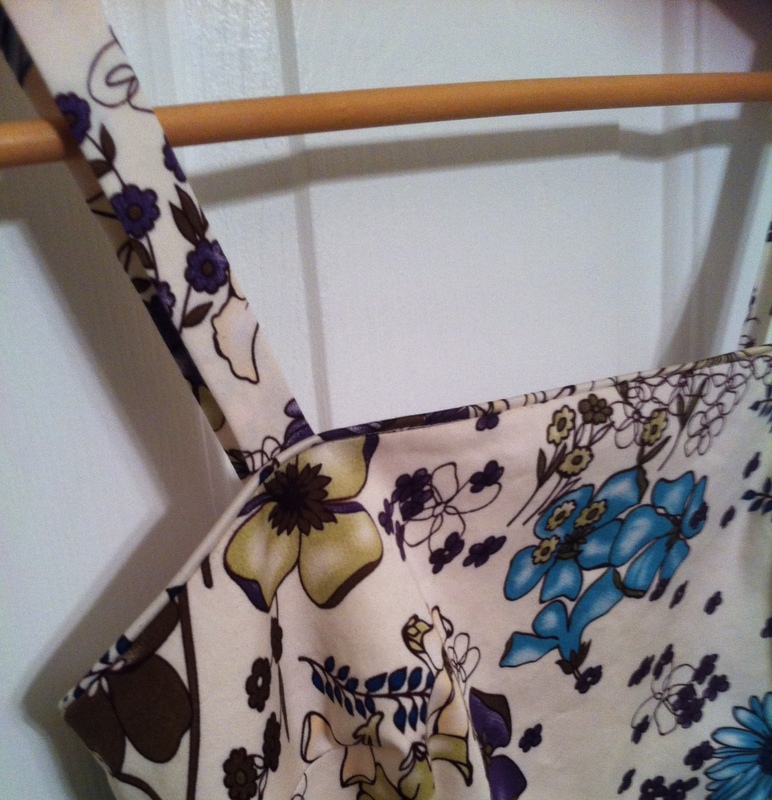 And like you, I think that stretch cotton sateen is a dream to sew and wear. 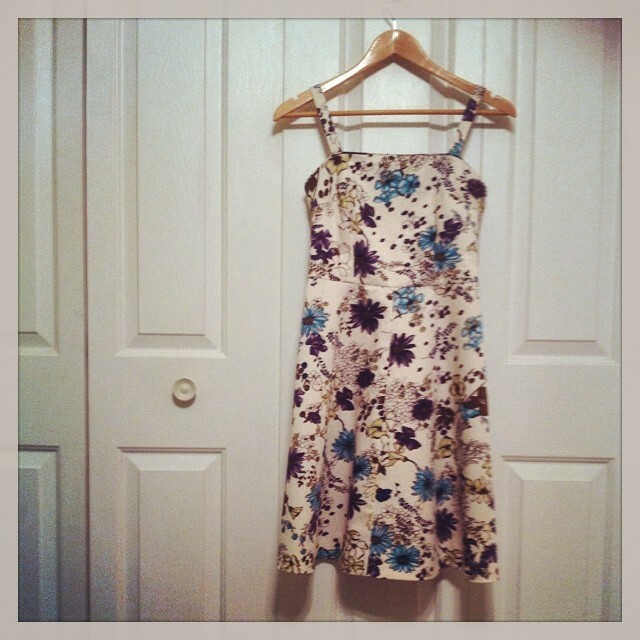 I just made a floral dress to wear to a wedding and it’s so nice I’m ready to make two more!! Lovely. You are right in the photo the skirt is a bit nowhere land from the front i.e. not fitted not full, but it might be that when you are actually moving the fullness is more apparent. A wonderful use of the fabric anyway, and you still have more to play with! Great dress! Bias hem- always a good choice! Nicely done! A bit of an after thought – but a crinoline slip might be just the ticket to give a little extra swish and a dash of darling. I did actually try it with my day-wear crinoline—it fills it out nicely but the skirt actually looks a bit “stuffed”—too much crinoline! Maybe a petticoat with just a little more fullness than my slip would be the way to go…. Love the dress. That’s a great floral print, I can see why it caught your eye – not too girly or fussy, that is not common in floral prints. If you can spare some of the remaining fabric and insert a inverted box pleat in the CF & CB seams you may create the desired fullness.